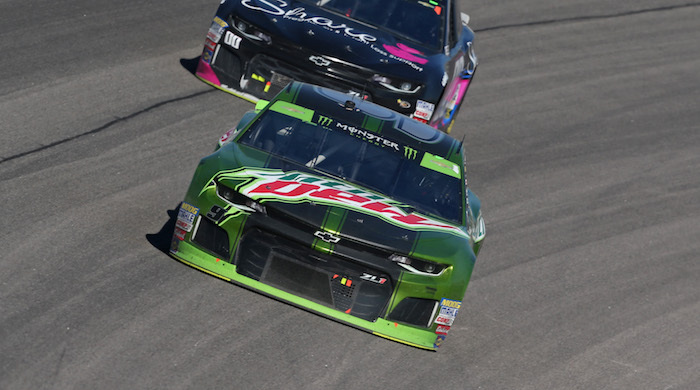 Chevrolet is usually fairly dominant in NASCAR’s top-tier Monster Energy Cup Series, but 2018 was a struggle for the Bowtie brand. 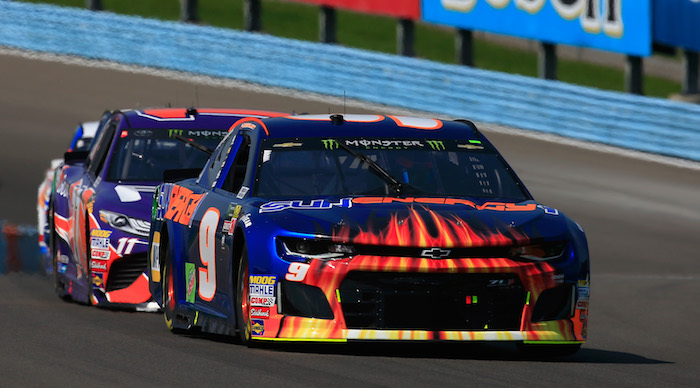 As Autosport reports, Chevy started off the season strong after Austin Dillion won the Daytona 500, but a one of its drivers didn’t make it to the winner’s circle until 20 races later, when Chase Elliott won on the road course at Watkins Glen. By the end of the season, the Bowtie brand had managed to win just four races, while Toyota won 13 and Ford locked down a competition-trouncing 19. The automaker introduced an all-new body at the beginning of the 2018 racing season, ditching the Chevrolet SS body for the new Camaro ZL1. This is part of the reason the Chevy teams struggled this year, Jim Campbell, the company’s director for motorsports, explained to Autosport. The Ford Fusion is quite far along in its development, having been introduced back in 2013, but Ford will introduce an all-new Mustang Cup Series body next year. The Camry body was in its second full season of competition this past year. Chevy also had a relatively inexperienced roster of drivers in 2018. This, compounded with Dale Earnhardt Jr.’s retirement and and Jimmie Johnson’s on-track struggles, made winning a tall task, Campbell explained. Campbell said that there is obviously “more work to do,” in order for Chevrolet to begin beating Toyota and Ford week in and week out again, he’s looking forward to the challenge. “I’m really excited about what that means for us for next year,” he said. The 2018 NASCAR Cup Series driver’s championship was won by Team Penske-Ford driverJoey Logano. Ford won the manufacturer’s championship. 2018 season was embarrassing. Somebody was caught asleep with car development. Or the rules did not let chevy compete on a level playing field! Chase Elliott made it to the round of 8, and after doing so-so at Martinsville and Texas was a strong threat at Pheonix, before he wrecked. they blame it on the new car? Back in the day when Chevy went to the Lumina they had a successful first year. When they went to the Impala chevy won race after race, then onto the SS car race winners! Chevy spends 10s of millions on racing Camaros in NASCAR and NHRA, every year, yet Camaro sales have tanked. Whats the relevance anymore? 2019 will probably be the last ever update for the Camaro, now that GM is focusing their future on battery/autonomous vehicles, as they are cleaning house of slow selling models, including the iconic Impala. Will the Camaro be next? I believe if the Camaro does NOT have a successful year in NASCAR 2019, Chevy will abandon NASCAR, as the fans have already been doing. The end of an era is coming quickly for American racing. I hope not. Then it will truly no longer be NASCAR. Maybe they’ll start developing SUVs LOL.